Gynecomastia and male excessive breast tissue (Male EBT™) affect more than 40% of men. Luckily, male breast reduction can help. Men who have enlarged breast tissue often struggle with low levels of self-esteem and turn to cosmetic surgery to improve their self-confidence. Little Rock board certified cosmetic surgeon Dr. Rhys Branman explains the causes and treatment options for gynecomastia. 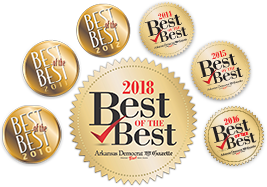 To learn more, watch Dr. Branman’s videos on gynecomastia, Male EBT™, and male breast reduction on KATV Channel 7’s Good Morning Arkansas series.